ING Vysya Bank has launched ING Visa Platinum Multi Currency Forex Travel card in alliance with Visa, a global leader in payments. The card is available in five foreign currencies- USD, Pound, Euro, Australian Dollar and Japanese Yen. The prepaid card is designed to offer travellers unmatched convenience and secure way to carry money when travelling abroad. The unique proposition of the card is that it locks the value of the Rupee at the rate on the purchase date and any fluctuation in currency exchange rate of Rupee rate will not impact the traveller. State Bank of Bikaner and Jaipur (SBBJ), country’s public sector bank, has inaugurated 797 ultra small branches in rural Rajasthan in un-banked villages with population of more than 2,000. It has established these branches inline with the Government guidelines and will be based on the banking correspondence model. The bank's main area of operation is in the State of Rajasthan, with presence at all important centers in the country. On the technology front, the bank migrated all branches to Core Banking Solution (CBS) and became among the first few banks in India to offer online banking facility across the country. Kotak Mutual Fund has declared dividend under the dividend option of Kotak FMP 24M Series 1. The record date for dividend is April 3, 2012. 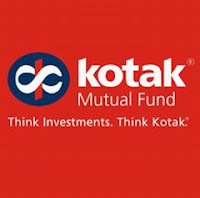 The quantum of dividend per unit on the face value of Rs 10 per unit will be entire appreciation in Net Asset value of dividend option until April 3, 2012. The scheme would mature on April 3, 2012. The units of the scheme will not be available for trading on NSE with effect from March 29, 2012. Tata Motors is planning to develop Futuristic Infantry Combat Vehicles (FICV) and may set-up plant for the same. In this regard, the company will invest about Rs 600 crore of which, the development cost of FICV could be around Rs 300 crore and a manufacturing plant for the same could be around Rs 250 crore. Tata Motors is one of the four companies which have received Expression of Interest (EoI) to supply around 2,000 units. The company’s revenue from the defence business is estimated to be Rs 1,000 crore in this fiscal year, a 50% growth over the last year. In the next fiscal, the company is looking at 25-35% growth. Further, the company, with an order book of Rs 250-300 crore, is also looking to supply landmine protected vehicles to states such as Maharashtra and Jharkhand. 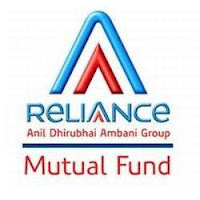 Reliance Mutual Fund has launched the New Fund Offer (NFO) Reliance Fixed Horizon Fund - XXII - Series 1, a close ended income fund. The scheme opens and closes for subscription on March 29, 2012. No entry and exit load charges is applicable for the scheme. The duration of the scheme is 90 days from the date of allotment of units. The scheme offers dividend payout and growth option. The scheme will be benchmark against CRISIL Short Term Bond Fund Index. The minimum application amount is Rs 5000 and in multiples of Rs 1 thereafter. The scheme will be managed by Amit Tripathi. MT Educare, the education based service provider’s initial public offer (IPO) was subscribed 1.25 times on the second day of issue. As per the data available with the NSE, total bid of 1,37,76,480 shares were received for the issue of 1,09,91,815 shares and 5,15,760 bids were received at the cut-off price. MT Educare is looking forward to raise Rs 35 crore from capital market through initial public offering (IPO). 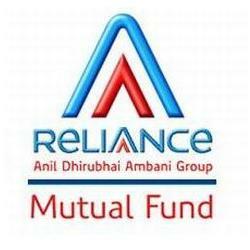 The company has fixed the price band at Rs 74 - 80 per share which will be listed on both Bombay Stock Exchange and National Stock Exchange. Enam Securities is the book running lead manager and Link Intime India is the registrar to the issue. The issue closes on March 29, 2012. 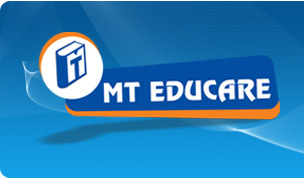 MT Educare is the education support and coaching services provider was incorporated in August 2006 and was converted into a public limited company in May 2011. The company has presence in the state of Maharashtra, Tamil Nadu, Karnataka and Gujarat, through 188 Coaching Centres in 110 locations. Dr. Reddy's Laboratories has launched Quetiapine fumarate tablets (25mg, 50mg, 100mg, 200mg, 300mg and 400mg), a bioequivalent version of SEROQUEL tablets in the US market on March 27, 2012 following the approval by the United States Food & Drug Administration (USFDA) of the company’s ANDA for Quetiapine fumarate tablets. The SEROQUEL brand has US sales of approximately $4.6 billion for the most recent twelve months ending December 2011 according to IMS Health. Shoppers Stop has opened one SIS HomeStop at Shoppers Stop at Cyberabad. With the opening of this store, the company has now 11 HomeStop stores under its operation. Besides, Shoppers Stop has opened one M.A.C door at Plaza Mall in Pune. Besides, the company has also closed one M.A.C door at Jewel Square Mall in Pune. The company has now twenty M.A.C doors. The government has allowed exports of additional 1 million tonnes of sugar. The decision to allow exports was taken by an Empowered Group of Ministers (EGoM), headed by Finance Minister Pranab Mukherjee. The decision will also help domestic mills to clear mounting sugarcane arrears to farmers that have reached Rs 8,409 crore. India is the second largest producer and the world’s largest consumer of sugar. But it is a sector which is highly regulated by the government. 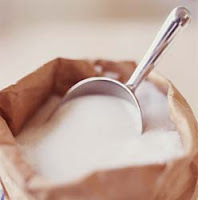 The government had allowed 2 million tonnes of sugar exports in the 2011-12 marketing year in two equal tranches, as the country’s sugar output was all set to exceed domestic consumption. Maruti Suzuki India has raised the prices of its vehicles by up to Rs 17,000 following the hike in excise duty in the budget. This increase in prices will affect the company's models ranging from small car M800 to mid-sized sedan SX4. As per the recent hike, the company's best selling model Alto (800 cc) will cost Rs 4,200 to Rs 5,900 more. It is priced ranging from Rs 2.4 lakh to Rs 3.42 lakh (ex-showroom Delhi). Similarly, the price of Alto K10 has been increased by Rs 5,500 to Rs 5,700. It is priced at Rs 3.14 lakh and Rs 3.30 lakh (ex- showroom Delhi). The company’s mid-sized sedan SX4 will now cost Rs 9,400 to Rs 17,000 more. Its prices range from Rs 7.11 lakh to Rs 9.39 lakh (ex -showroom Delhi) while the newly launched Swift Dzire will be more expensive by Rs 8,500 to Rs 12,700. It is priced at Rs 4.8 lakh and Rs 7.51 lakh (ex-showroom Delhi). Taurus Mutual Fund has declared dividend under dividend options of Taurus FMP series - N (91 days close ended debt scheme). The record date for dividend is March 29, 2012. The quantum of dividend will be 100% of distributable surplus as on record date on the face value of Rs 10 per unit. 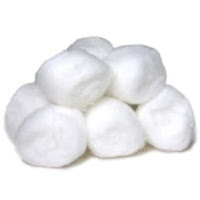 Cotton exports to neighboring countries including Bangladesh and Pakistan have been resumed. However only those orders have been allowed that can be transported through the land route. Further the Commerce Ministry has decided that no new registration certificates (RCs) will be issued and exports shall be allowed only from the existing ones after proper scrutiny. The commerce ministry has so far stuck to its stand of shortage of domestic supply of fiber and though the export ban has been lifted, no new orders are being entertained. Permission for exports is only being granted to the existing orders after scrutiny and in the first phase those have been passed that can be transported to neighboring countries through the land route. एनबीसीसी वर्तमान में शहरी विकास मंत्रालय के तहत संचालित होती है और उसी से 2004 से 2010 तक प्रत्येक वित्तीय वर्ष के लिए उत्कृष्ट रेटिंग भी प्राप्त कर चुका है। भारी उद्योग एवं लोक एंटरप्राइजेज मंत्रालय द्वारा कंपनी कों उत्कृष्टता पुरस्कार के साथ सम्मानित किया गया है. The government owned National Buildings Construction Corporation’s (NBCC) initial public offer (IPO) was subscribed 0.19 times on the first day of issue. As per the data available with the NSE, total bid of 22,64,820 shares were received for the issue of 120,00,000 shares and 282,000 bids were received at the cut-off price. Manappuram Finance is optimistic on Reserve Bank of India’s (RBIs) directive on new gold loan norms. The average loan-to-value (LTV) offered by the company on its gold loans amounts to 66 percent. As a result of RBI's latest directive, the LTV offered by the company would come down to be on par with the guidelines. With the proposed consolidation of the company's branch network and consequent optimization of operating expenses at the branch level, the impact of the reduction in LTV on yield will be mitigated. The new RBI measures will ultimately strengthen the well-capitalized established players in the business with sound operating and risk management practices. 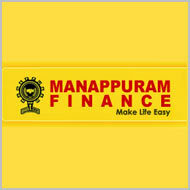 Manappuram Finance is one of the largest gold loan companies in India operating from Valapad, Kerala. Ashok Leyland, flagship company of the Hinduja Group is likely to hike prices of commercial vehicles in the next couple of weeks to offset excise duty hike. The budget had announced an increase in excise duty from 10% to 15% on commercial vehicle chassis. The company has decided to pass on the price difference to customers, however, it will be watching competitors’ reaction to the announcement before finalizing the decision. Also, the company expects to get some savings from its plant in Pantnagar, which is located in an excise-free zone. Recently, Ashok Leyland, has inaugurated a new state-of-the-art dealership in Pune - My Auto World Ashok Leyland, a unit of My Car Pune. This is the company’s 2nd dealership in the Pune city and also marks the company’s 400th full service outlet in the country. 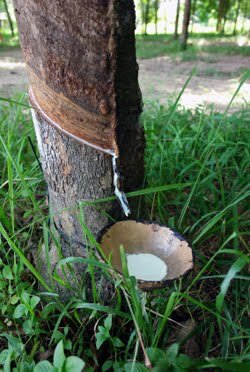 Physical rubber prices improved further on Tuesday supported by fresh buying and short covering. Though, the international futures declined but some gains in the domestic futures supported the rates in the spot markets. 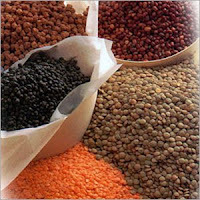 Spot prices for RSS-4 variety closed at Rs 196/kg compared to its previous closing of Rs 195/kg; while the RSS-5 variety closed at Rs 194/kg compared to its previous closing of Rs 193/kg. In the futures market, the contract for RSS 4 variety for April delivery closed at Rs 200.20 compared to its previous closing of Rs 199.71, while the contract for May delivery closed at Rs 204.85 compared to its previous closing of Rs 204.35 on the National Multi Commodity Exchange. HDFC Bank has organized its 300th Grameen Mega Loan Mahotsava for the fiscal at Gudivada, in Krishna district of Andhra Pradesh on March 16, 2012. 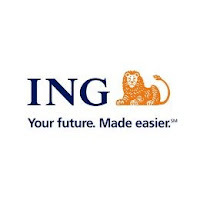 This is the part of the bank’s initiative to bring millions of unbanked into the banking fold. Overall, this was also the 501st Loan Mahotsava hosted by the bank in the last two years and 150th in South India. The bank has held such Mahotsavas across all major states of the country. 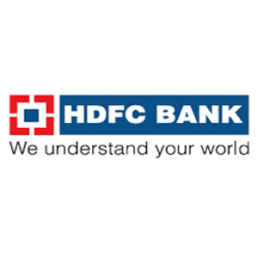 In July 2010, HDFC Bank had launched the Grameen Mega Loan Mahotsava as part of its Board approved mandate to help 10 million families (40 million families) becomes self-sufficient through its viable finance initiative. State-run, Allahabad Bank has launched account portability facility for its customers. This facility will be helpful for its customers to transfer their accounts from one branch to another with minimum manual intervention. For this facility, the customers have to submit a written request along with an unused cheque leaf at the home branch. The account number will remain unchanged across the country for any number of transfers requested by a customer. The bank has reported a rise of 34.78% in its net profit of Rs 560.43 crore for the quarter ended December 31, 2011 as compared to Rs 415.80 crore for the same quarter in the previous year. Total income has increased by 36.85% from Rs 3113.09 crore for Q3FY11 to Rs 4260.28 crore in the quarter under review. 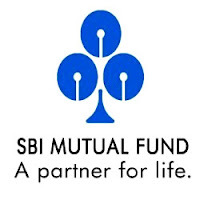 SBI Mutual Fund has launched the New Fund Offer (NFO) of SBI Debt Fund Series - 90 Days - 60, a close ended debt scheme. NFO for the scheme opens for subscription on March 22, 2012 and closes on March 26, 2012. No entry and exit load charges will be applicable for the scheme. The duration of the scheme is 90 days from the date of allotment of units. The scheme offers dividend payout and growth option. 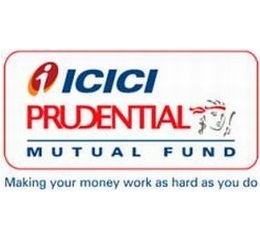 The scheme will be benchmarked against CRISIL Liquid Fund Index. The minimum application amount is Rs 5000 and in multiples of Rs 10 thereafter. 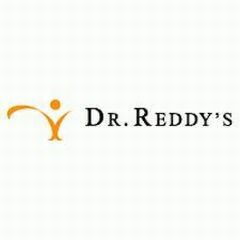 The scheme will be managed by Rajeev Radhakrishnan.